The Youri Spin 55 rolls like a dream on a sturdy set of spinning wheels. 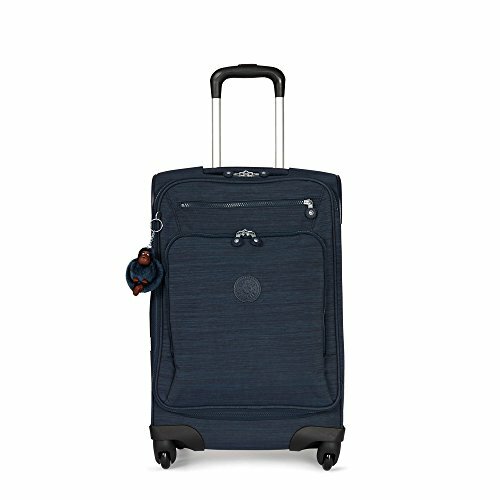 This cabin sized spinner features plenty of interior and exterior pockets to keep you organized on the go, plus it is super lightweight so you never have to worry about being able to lift it into the overhead bin. Dimensions: 13.75"L x 21.75"H x 9"D Weight: 6.61 lbs.